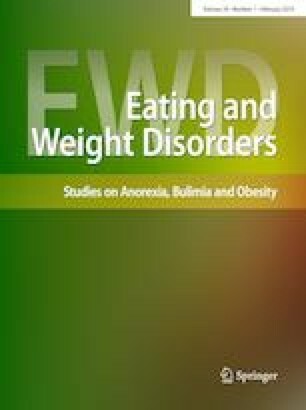 There is a paucity of research exploring individuals’ memories of parental dieting behavior, engagement in “fat talk”, or criticism of weight or eating behavior in childhood. This exploratory study utilized a community sample to further characterize the retrospective report of parenting dieting behavior. A total of 507 participants (78.1% females; 20.7% males; and 1.2% transgender) were recruited to participate in an online, self-administered survey. Forty percent (216) of participants reported maternal dieting in their family of origin and 34% (182) reported maternal fat talk, 24% (120) reported paternal dieting, and 11% recalled paternal ‘fat talk’ (58). Subgroup analyses suggest that both male and female participants had greater odds of remembering maternal rather than paternal weight or shape criticism and encouragement to diet (OR = 58.1; and OR = 3.12; p < 0.0001 for male and female participants, respectively). Retrospective report of indirect parental behaviors (e.g. parental dieting) also appears to be associated with direct parental behaviors (e.g. encouraging children to diet). Additionally, participants who recalled maternal encouragement to diet reported a significantly higher adult BMI (β = 1.31, SE = 0.32, p < 0.0001). Results provide preliminary evidence that a sizeable percentage of both adult male and female participants recalled that their parents engaged in fat talk and dieting. In addition, participants recalled parental criticism of their own weight or eating behaviors, which was associated with recall of parental dieting and fat talk. The online version of this article ( https://doi.org/10.1007/s40519-018-0478-1) contains supplementary material, which is available to authorized users. This research was supported, in part, by Grant #1R49CE002109 from the National Center for Injury Prevention and Control, CDC, to the West Virginia University Injury Control Research Center. Contents are solely the responsibility of the authors and do not represent official views of the CDC. S.C. Zerwas has consulted with Coleman Research. No other authors have a conflict of interest to declare.